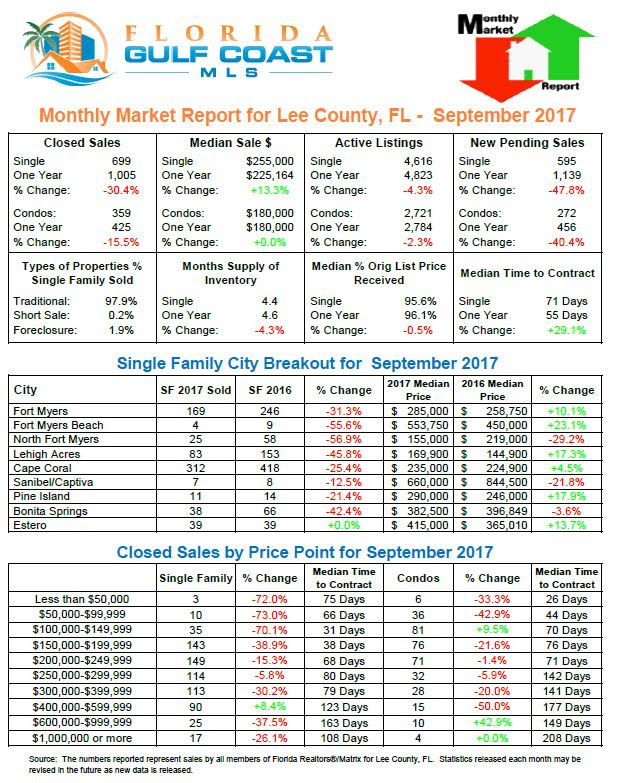 Below, you can find pre-defined SW Florida Real Estate Market Reports. Real Estate sales statistics updated monthly by the SW Florida MLS. 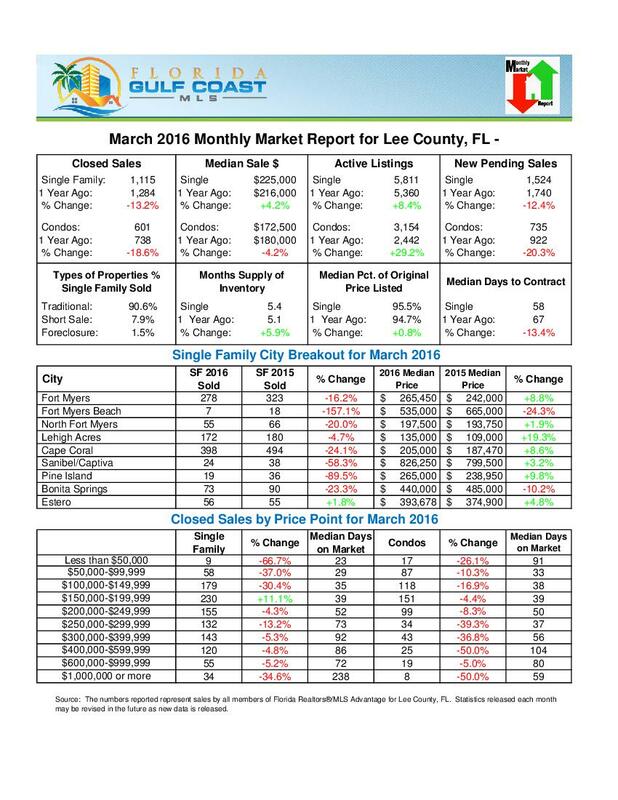 Click the chart to the right to see the SWFL MLS Monthly Market Report Summary.